Most construction projects and building works in the UK and Europe require approval to the relevant building control legislation, at both the planning and final completion stages of the build, and the building materials used can have a significant impact on the approval process. Therefore to aid the construction industry, the construction products legislation aims for materials and products to be placed on the market with the right performance characteristics, which will enable builders to select the most appropriate products for their building works. There has been a European Directive (89/106/EEC) covering Construction Products since 1991, which was only voluntary in the UK. However since 1st July 2013, the old Directive was replaced by the new Construction Products Regulation (305/2011/EU) making it mandatory for construction products in the UK (and the rest of Europe) to be CE marked. The new Construction Products Regulation (CPR) applies to products or kits which are placed on the market for incorporation in a permanent manner in construction works and the performance of which has an effect on the basic requirements of the works. Some examples of construction products include: windows and doors, fire detection/alarm systems, cladding, steel structures, sanitary products and many more. 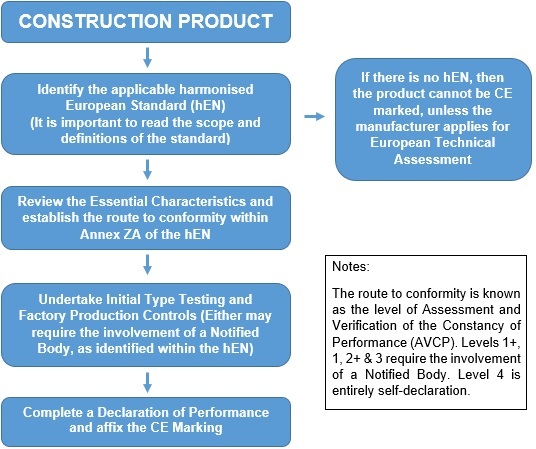 The new Regulation (much like the out-going Directive) is completely different to other CE Marking Legislation and requires the product to be assessed against a harmonised standard or have a European Technical Assessment (ETA) issued before the declaration can be issued and the CE marking affixed. If there are no applicable harmonised standards and the manufacturer has not requested an ETA, then the product cannot be CE marked under the CPR. 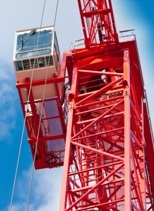 European Standards that are harmonised under the Construction Products Regulation can be found on the ‘Official Journal’ which forms part of the European Commission’s website. If you need any help with the new Construction Products Regulation, please contact us on 01564 792349.